Posted By admin On June 3rd 2011. Under Blog . 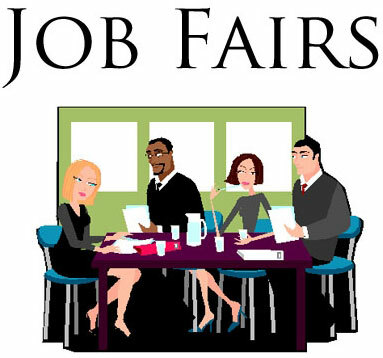 Every ambitious job-seeker knows that there is no better way to inquire about new vacancies in leading companies, get closer to employees and ask lots of questions concerning company, possible responsibilities and offered labour conditions, than attending job fairs. 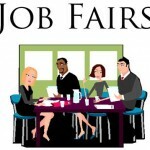 Theme, seasonal or annual career fairs take place in each city at least once in quarter and gather representatives from different companies in different industries. Resume Writing Service strongly recommend all job-seekers, especially with less than 5 years work experience visit such events and take some resume copies with. Believe in your lucky star and it won’t take much time to receive an interview invitation from interesting for you employer, particularly if you follow some tips, prepared by former recruiters and interview coachers from Resume Writing Service. not ask common job-seeker’s questions, but show an interest to company’s scope of activity. We advise to think some questions over for a while before asking. not devote much time to one recruiter and think about other candidates, who what to communicate with employer’s representative. not waste your time on companies that don’t really interest you, though you shouldn’t focus your attention solely on employers working in your field. If you feel like collaboration with a company is promising for you, ask freely about vacancies requiring your skills. be prepared for a little job interview and be ready to speak about your unique and beneficial for a company experience and skills during 2 minutes. You shouldn’t just drop your resume and walk off a company’s stand: successful job-seeker should impress and be stamped on memory. be kind and pleasant-looking: dress professionally, but not very formal and be open to new acquaintances! Smile and be polite, don’t jostle and raise your voice and keep in mind that a job affair is also a wonderful opportunity for networking, so don’t concentrate your attention only on job stands. prepare enough resume copies in various formats and oriented on 2-3 positions and always follow up! And don’t forget that with Resume Writing Service you will be always confident in quality of your resumes and follow-up letters! What lenght should a typical CV be in Australia?